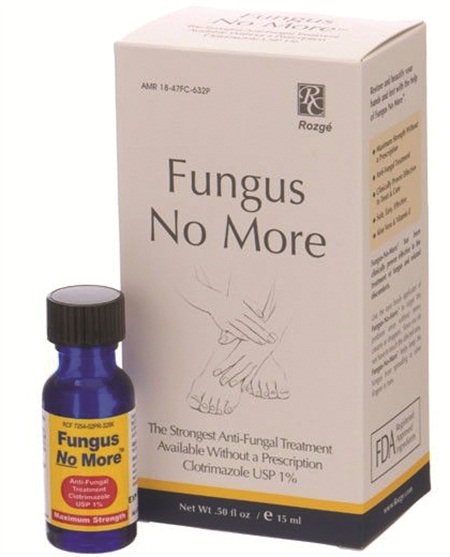 Rozgé’s Fungus No More helps treat and cure nails of fungus. It provides maximum-strength treatment without a prescription, while other components work to nourish and treat the nail. > Clotrimazole, an FDA-approved ingredient that combats fungus while preventing the growth of microorganisms that cause fungus. > Tocopheryl acetate, a form of vitamin E that nourishes the nail and surrounding skin. > Barbadensis leaf (aloe) juice, which provides natural antiseptic and astringent properties due to the enzymes and amino acids in the aloe. Clients should apply the formulation twice daily to the cuticle area as well as around and under the nail. For more information, visit Rozgé.